Firing Glass - fine quality crystal firing glass, offered with low-cost engraving & fixed price UK delivery. A traditional firing glass with tapered sides and oversized base. 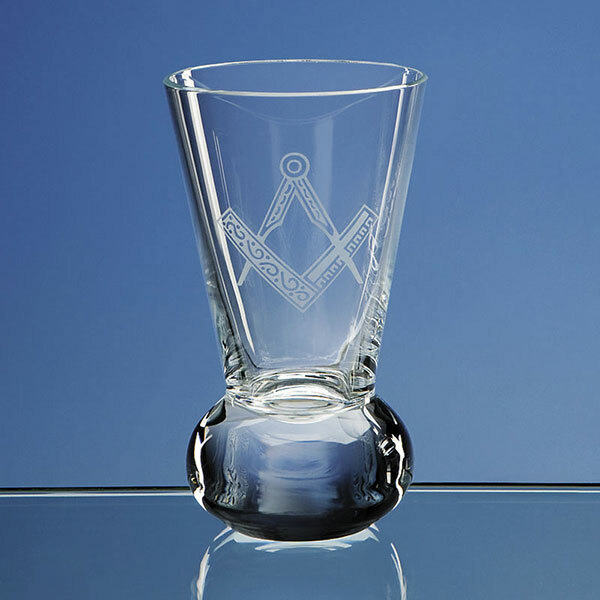 These firing glasses are crafted in 10% lead crystal and are perfect for corporate gifts, achievement awards or recognition awards. They feature an engraving area of 40mm by 40mm. These firing glasses are offered with low-cost engraving of text or logos (one-off set-up fee applies to logo engraving).